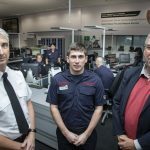 New campaign to stop inappropriate 999 calls putting lives at risk in North Wales | News by Wales Express News, People Before Profit! A new campaign has been launched to reduce the soaring demand on the police control room in North Wales which takes over 1100 calls a day. 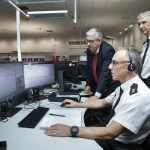 According to North Wales Police and Crime Commissioner Arfon Jones, only 150 of those calls are reporting crimes and he is urging the public to help take the pressure off by thinking before they dial 999. 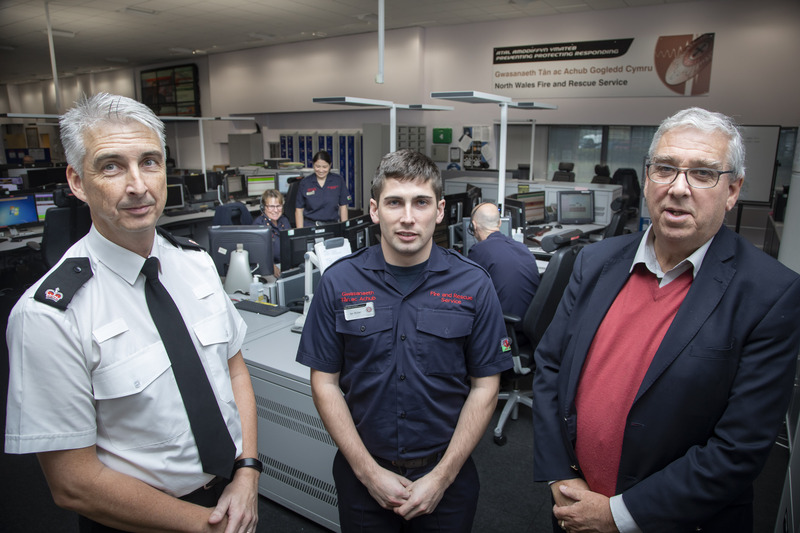 Police and crime commissioner Arfon Jones visit to North Wales Police’s control centre, St Asaph; Pictured Superintendent Neil Thomas, Ian Butler, NWFRS and PCC Arfon Jones. That equates to an extra 27 calls a day or an 11.2 per cent increase. In total the current centre in St Asaph handles over 400,000 emergency and 101 calls a year and according to Mr Jones more than half of them are unnecessary. Over the past two years the number of emails from the public has doubled to an average of 4,300 a month or 150 a day. At the same time, the number of webchats handled by the centre has trebled to 1,700 a month or 56 a day. The force are also launching a major social media blitz to drum home the message throughout December. Mr Jones said: “We’ve got to manage the demand here and encourage people to think before they dial 999 or 101. “Out of 1100 calls a day here only 400 incidents are created – that means over 600 don’t require any police action but they still take time to deal with – time that could be spent dealing with a real emergency. “Many of the calls are not actually police matters and should be directed to other agencies, whether it be local authorities or the health board. “You should only call 999 if there is a direct and immediate threat to life or property or if a crime is in progress. “People need to think before they pick up the phone and decide who they really need to speak to. “The problem is that if there’s nowhere else to go then they will ring the police irrespective of whether the police can deal with it. “There are out of hours social services but not everyone knows how to access them – everyone knows 999 and 101.
who might be more appropriate for their needs. “We receive on average 1100 calls a day, of which 300 of these are 999 calls, and only 150 crimes per day on average are recorded in North Wales. Calls relating to individuals with mental health related issues, social needs, vulnerable or people who are reported missing people are increasing. These types of calls clearly take longer to deal with. “We always take the calls but doing so is reducing our ability to deal with police related emergency calls. “We are dealing with people who are in crisis and they need help and support but at times we’re not the most appropriate service to help them and sending a police response isn’t appropriate either. North Wales Police now have colleagues from North Wales Fire and Rescue and the Welsh Ambulance Service alongside them in the control room. Superintendent Thomas said that the number of calls coming into the centre could reach 100 an hour over a sustained period and that the majority of emergency calls are answered within the national guidelines of 10 seconds. He added: “In a real emergency we would always encourage people to dial 999 but we do want to educate people to think first before calling the police because there are other options. 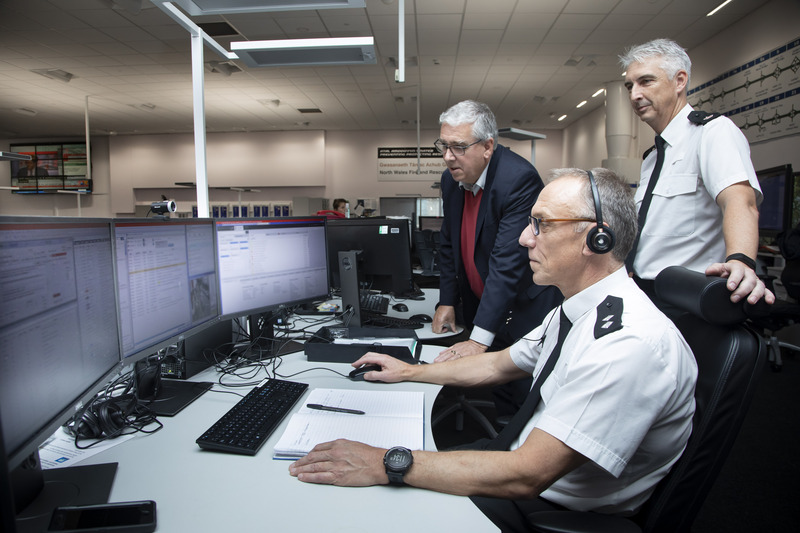 Arfon Jones said: “You can use online to report a crime or an accident so we need to improve how people contact us and if we can get more people to go online then we free up 999 and 101 for people who really need to speak to us. “I prefer to go online to deal with my banking or my phone and internet, it suits me and a lot of other people and the plan is to do a lot more digitally. “The fact is that every hoax call or non-emergency call to 999 causes a delay in responding to a real emergency.